Can you be more specific with the amounts of each veggie please? Thanks! 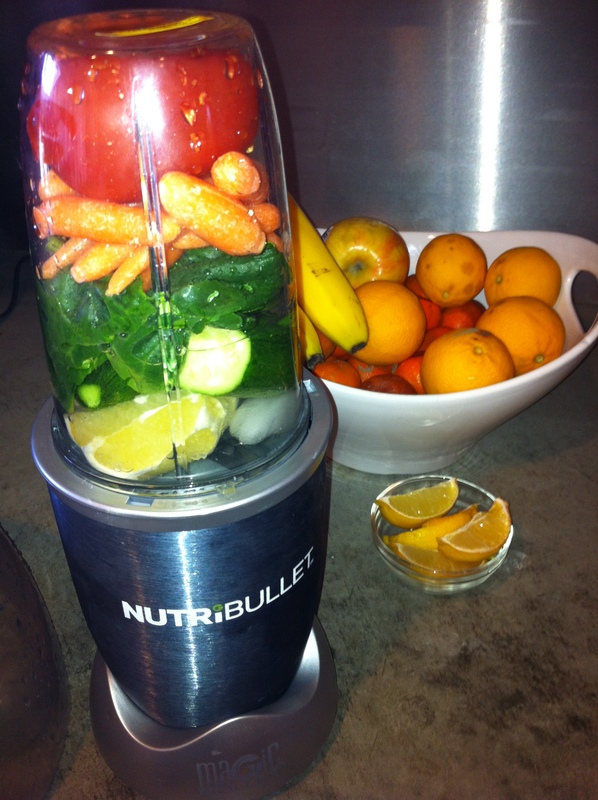 I got my NutriBullet yesterday and LOVE it! 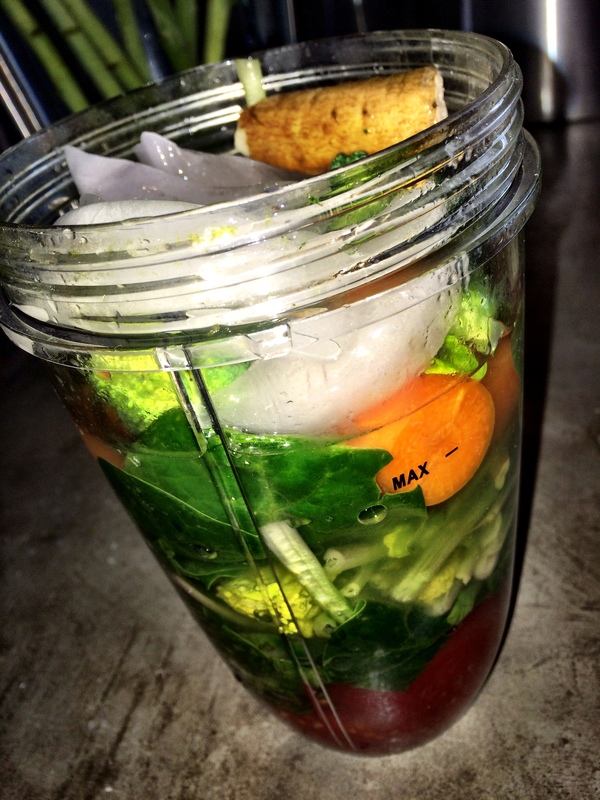 I’ve been doing green smoothies (using the blender) for a while but this is so much easier. I also love that it’s powerful enough to handle root veggies… So this recipe is PERFECT! My only tweak might be to add a dash of worshestire :-)! How long do you let your Nutribullet run? I tried a similar recipe yesterday and it was good for about 5 min then it seemed very “pulpy.” ??? Hi Stefanie – thanks so much for stopping by 😉 I generally run my NB for a couple of minutes and it’s really smooth. Do you use ice? Maybe that helps? 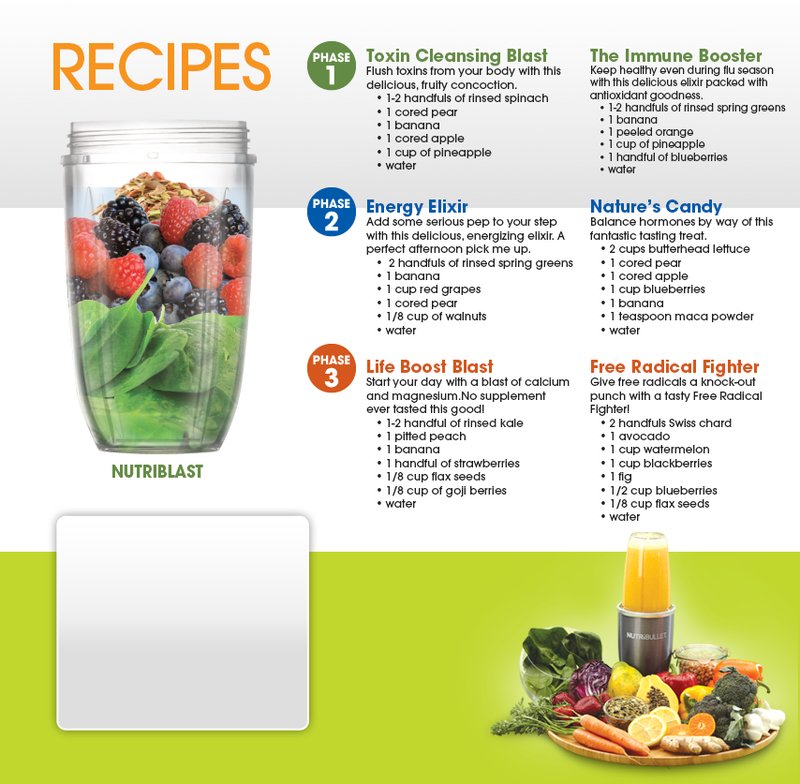 Try some of the recipes at the end of the blog that Nutribullet at the bottom of the blog. They are listed in three phases so you can try all 6 of them! Hi and thanks!!! If you have any other recipes pass them along! Let me know how it goes and if you like it! friends ans additionally sharing in delicious. And of course, thanks for your sweat! That would be wonderful!! Thank you!!! I have had much better success with tweaking this recipe. Still using the cuties tomatoes. I have been using a spinach/kale/Swiss chard blend. Then baby carrots , celery, red peppers, cucumbers, and half a lemon and the juice from the other half. I layer the tomatoes in between some of the other items, so it looks like a parfait.. The color was a solid red finally. Lemons are a little overpowering so I need a sweetening suggestion. Agave syrup perhaps? How much of everything do you put in, like how many tomatoes, carrots etc… I love V8 juice but the sodium level is a concern. I would love to try this. Oh and my nutribullet only has four blades not eight. Does yours have eight? Hi Diana – I wish I had an exact recipe but I add a little of each until the cup is almost 1/3 full (or a bit more), then add ice and water to the fill line. I keep with a lot of greens and tomatoes. Carrots turn into sugar when they are digested to I don’t add too many. I hope that helps!! I have one and I keep seeing “do not fill past max line”…but see pics here, and even on the nutribullet manual that shows the cups slam full…am I confused or does the max line only refer to the water poured in at the end? First let me say thank you for posting this recipe you have Photo Girl :), I just made this, love it! I added celery and celery seed; and also onion powder, and used collard greens. I also steamed my baby carrots before using. (keep them in fridge) Did not have enough tomato taste, so I added some tom. puree. Still needed a little more but it was very satisfying the way it is. Great idea to steam the baby carrots! Abs the addition if the onion powder. Thanks for the suggestuons! And happy holidays! Hi thank you for sharing this with us, I’m wondering how long this would ‘ve good in the refrigerator? When juicing we must drink the juice right away so we don’t lose the vitamin values in it. Do you know if the same rules apply here? Hi Misty! I would imagine the same principles apply. Freah is always best 😉 thanks for stoppong by!!! Hi Lynda! Let me know what you think, and if you have any other receipes to share!!! I just got my nutribullet!! So excited. I’m getting my recipes lined up. So can I make this almost like a salsa and pair it with homemade kale chips. 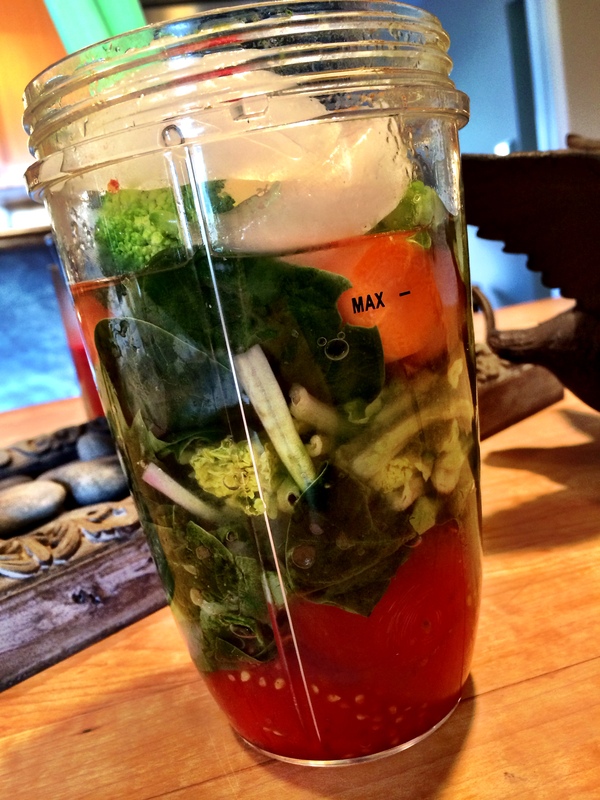 I know it’s a wired question….but I’m new to smoothie making and trying to break in my tastebuds. So glad you got one! Ive not made salsa w mine but it might work. Heavy tomatoes, not too much water and then just barely blend. Let me know how it turns out! That’s great Jane!! And I agree about the lemon, a huge plus! I also bought one and I have been blending my own special creation to try and lower my blood pressure. I don’t know if you have the answer to this, but is it harmful to have to many beets in the week. I’m not supper crazy about beets, but I know it is great in lowering blood pressure, so it works perfect in this drink. Joel, add a banana and it negates the taste of the beet, I am no beet fan either but they are good for you. Folks, there is no right or wrong way, people get to locked into the recipe mentality. Use what you have wtihin reason and experiment. If you bought a Nutribullet you can join http://www.nutriliving.com which has a wealth of information on each veggie/fruit and tons of recipes, they have an app too. As for running over one minute, not necessary and probably not good for the motor, same with stuffing the cup to the top, no need, but do pay attention to the water line. I used permanent marker to make mine more visable . Can it be done in a regular blender? You could but it won’t be as smooth if you do it in a regular blender. You’ll still have chunks of veggies so I’m not sure how good it would be. If you try it let me know! To truly taste like v8, the mixture needs heated up after blending but otherwise really really close to the exact taste of v8. Just dont use a whole peper. I made it & had to toss it because it was too sour. Unfortunately, the recipe didn’t give the amounts for each ingredient. I wasn’t able to tweak it to get the right flavor. How much of each ingredient do you add? Have u ever heated the blend to make a soup? Yes, you can do that!!! I must have screwed it up bad because everybody here seems to like it! I just couldn’t get it down! 😞 it was a little pulpy and just wasn’t the taste I was expecting. I put a little of everything since there were no measurements listed. Ewww! I’m bummed. No worries- it’s not for everyone but I will say lemon juice does make it taste great!! !